Did Kat Von D & Jesse James Split Over Cheating? 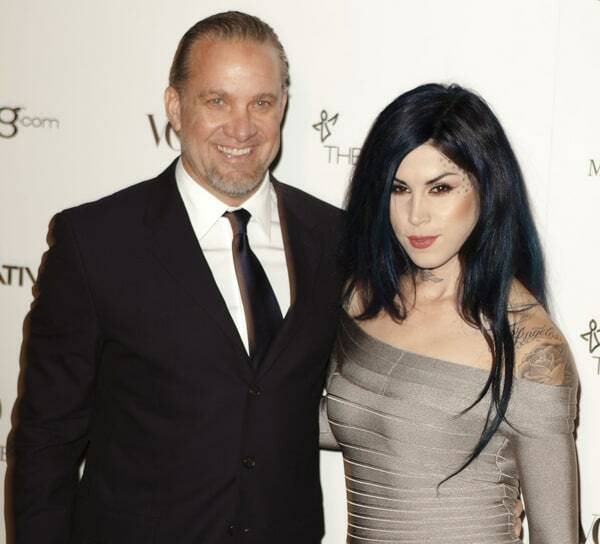 It looks like Jesse James may have returned to his old ways…and cheated on Kat Von D…maybe! A witness saw the couple arguing and Kat repeated a woman’s name during the argument! Hmmmm? According to an eyewitness, Jesse and Kat had a verbal argument outside of her Los Angeles, Calif. home Monday afternoon about another woman before Kat finally told him to leave. â€œThey were outside and I could hear them fighting. Kat kept throwing some womanâ€™s name out and arguing about how she didnâ€™t like him living so far away,â€ the source exclusively told RadarOnline.com. Kat got a tattoo of Jesse which was featured on LA Ink! OMG! Jesse JamesÂ received sole custody of his daughter, Sunny because her mother, Janine LindemulderÂ needs ‘therapy’! Kim Kardashian & Kris Humphries are Engaged! !